Inspired by Mexico's famed wrestling sport Lucha Libre, the Mucha Lucha Brunch is a four-round Latin fiesta with unlimited servings of 12 exceptional delicacies. 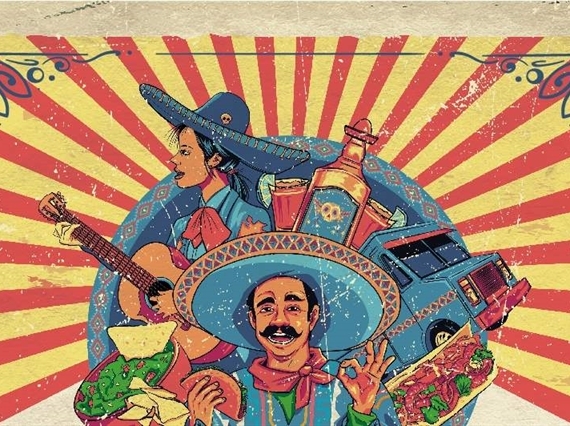 If you want to erupt your Instagram with picture perfect shots of haute Mexican food or experiment with colorful cocktail creations from cheerful bartenders, put on your sombrero and hop on the fiesta train to Luchador every Friday. Treat your taste buds to authentic tacos, guac, and ceviches, and wash it all down with fresh fruit margaritas and Mexican hops. Cigar lovers can enjoy a night dedicated to the Central American masterpiece, on Wednesday, 10th October. A unique live cigar rolling art session, complete with a complimentary cigar, premium spirits pairing and delectable chocolate truffles, will transport you to Central America as lovers of the Big Smoke indulge in some of the finest cigars and premium añejos available. • Offer: Regular cigar prices a la carte; special prices in the añejos once a cigar from the menu is purchased. • Day/Date: Wednesday, 10th October. Sunset is sublime at Luchador with 2 for 1 offers on a wide range of drinks. Sip in style at the edge of the Palm and watch day turn into night with tequila infused cocktails, grapes, hops and spirits. Mix great music with margaritas and share marvellous moments with friends at Luchador. Let your hips do the talking on Cha Cha Tuesdays! Drink, dine & dance at Luchador with free Latin dance classes on select Tuesday evenings throughout the month. Feel the rhythm of live Latin beats from the band, and learn to salsa, samba and rumba at Luchador. • Offer: Free Latin dance classes. • Day/Date: 2nd, 16th, 30th October. • Timing: 9pm till late. Ladies go loco at Luchador with five complimentary drinks every Wednesday. For a feisty fiesta, round up your girlfriends and raise a glass to your mamacita. • Offer: Five complimentary drinks.